There are hundreds of diets out there that promise to get you back in shape. While some work, others are just fad that will only stress you out. The British Dietetic Association (BDA) has announced its annual top 5 Celebrity Diets to Avoid this holiday season if you want to lose weight by New Year's. The Diet- Immediately after waking, drink black coffee and exercise. Sit in cold water bath to increase the capacity of the body to burn fat. Then don't eat till 10 am. Fruits and snacks are off-limits. Also, you plate must always have lots of proteins. What BDA says: The chances of you spending you spending the New Year's Eve and the next year alone (in a cold bath!) are higher than your chances of losing weight. People don't have time or the energy to follow this crazy diet. Eat a decent breakfast and always have a well-balanced meal and exercise regularly. The diet: You starve yourself during the days and save up the calories. Then you binge on drinks. For example - you can "bank" 1,500 calories a day, which then gives you 10,500 calories to drink during the week. This can then be spent on drinking alcohol - 131 glasses of wine or equivalent. The verdict: You'll probably end up with alcohol poisoning or even die following the diet. We don't eat just to get the calories, but also to get required minerals and vitamins. Keeping calorie intake to bare minimum and then binging on alcohol that has nothing but calories will make your body really weak. The diet: The IV drips originally were meant for extremely sick people who couldn't eat. Now people who want to lose weight can get a bag of solution containing sodium plus vitamins injected into the body. The verdict: you can get dizziness, infection, inflammation of veins and, ultimately, anaphylactic shock after following this diet. The diet: No eating plus you need to get liquid pumped inside your body through your nose. A pipe is taped to your face that delivers the liquid food to your stomach through nose. At the end of the tube is an electric pump that delivers two liters of liquid over 24 hours. You'll have to carry the liquid bag along with the pump wherever you go. The verdict: You'll need laxatives because your body hasn't got any fiber. The diet: A complex diet that has four cycles and restricts a certain food-category each cycle. Apparently, this leads to more fat burning. The verdict: This Diet topped the "avoidable diets" even last year. There is no evidence that this diet works. Time consuming and doesn't really help people who are in a rush. Side effects include low energy, constipation and bad breath. 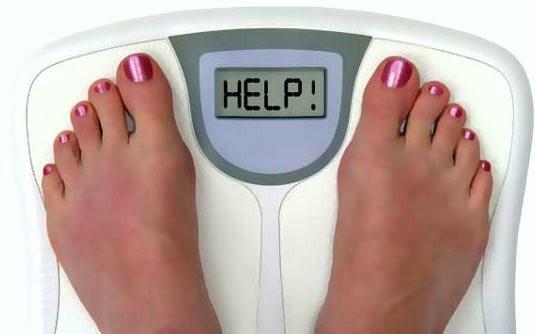 To really lose weight and keep it off for a long time requires serious commitment and certain behavioral changes. "As much as we all would love it to be the case, there is no magic solution to losing weight and keeping it off long term. There is no wonder diet you can follow without some associated nutritional or health risk and most are offering a short-term fix to a long term problem. It may be obvious, but if you want to lose weight you need to make healthier choices, eat a nutritionally balanced and varied diet with appropriately sized portions, and be physically active. In a nutshell the solution for most is to, eat fewer calories, make better choices and move a bit more," said Sian Porter, consultant dietitian and Spokesperson for the BDA in a statement. Porter added that people must remember that most of the celebrity pictures are airbrushed and even the really thin ones have lots of people around them to help them maintain weight.